SoundSoap essentials in a desktop app. SoundSoap Solo is perfect for anyone working with action cameras, interviews, video projects, iPhone/iPad videos, screencasts, podcasts, and more. Open the media to be cleaned and SoundSoap Solo will automatically find and remove background noise. With just a few simple controls, anyone can remove unwanted hiss, room noise, rumble, electrical hum, low volume, and other background noise from almost any digital media file. SoundSoap Solo is a must-have for easily cleaning up audio before you share it. Almost everyone has experienced undesirable background noise in their recordings. Maybe that amazing video of your kids also captured a noisy air conditioner, or that interview you recorded has a loud highway buzzing in the background. Not enough volume on your video’s audio track? Were noisy fans supposed to be part of your interview? Have a loud humming sound caused by a bad cable? The list goes on and on. In any case, these noises can be a big distraction in your project. SoundSoap Solo’s user interface is designed to be simple and focused, making it easy enough for anyone to use. 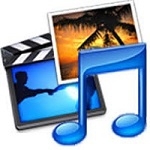 Simply drag in your video clips from the Finder, iPhoto, or another media application into the SoundSoap Solo application. You can even record new audio files directly into SoundSoap Solo. After media files have been cleaned with SoundSoap Solo, save or share* them with one click directly to Facebook, Email, Messaging, AirDrop, and more! Open the media to be cleaned and SoundSoap Solo will analyze, find, and remove background noise automatically. No other audio restoration products are this easy to use! Fans, air conditioners, traffic, rumbles, and tape hiss are just a few examples of noise pollution SoundSoap Solo can help eliminate. And, with its highly intelligent Learn Noise feature, SoundSoap Solo automatically finds the noise to remove while leaving the rest of your audio intact. Wiring is a common cause of electrical hum in recordings that can ruin an otherwise great recording. SoundSoap Solo eliminates common electrical hum problems – just turn it on- it’s that simple! 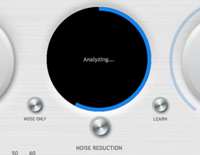 Automatically analyzes, finds, and removes audio problems such as background noise, room noise, hiss, hum, and rumble while leaving the rest of your audio intact. User interface is designed to be simple and focused, making it easy enough for anyone to use. Which SoundSoap is Right for You? To upgrade your earlier version of SoundSoap, SoundSaver, or SoundSoap Pro to SoundSoap 5 or SoundSoap 5+, click here. Click here to crossgrade from SoundSoap Solo 5 to SoundSoap 5. • Internet connection for product activation. • Mac OS 10.9 (Mavericks) or greater. • Windows 7, 8, or 10. • 1GHz or faster processor with SSE. – Mac OS – Files with more than one stereo or mono audio track are not currently supported. Supported file types for opening are determined by Apple’s AV Foundation framework. – iOS users see VideoSoap.